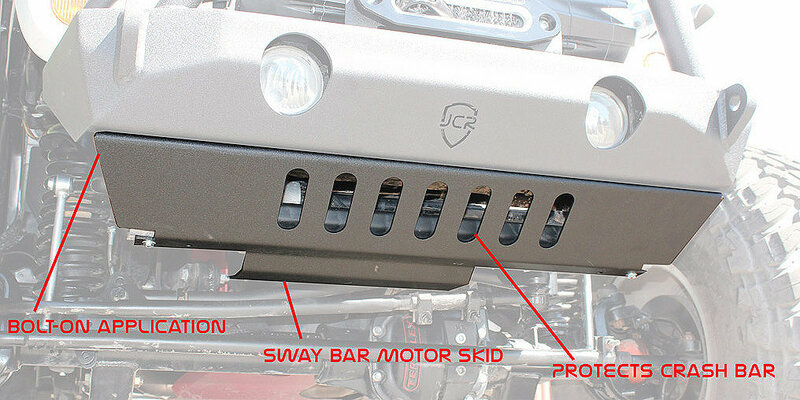 Tired of the gap between your crash bar and Jcr Bumper? Looking to slide up and over trail obstacles instead of getting hung up? Well, worry no longer! 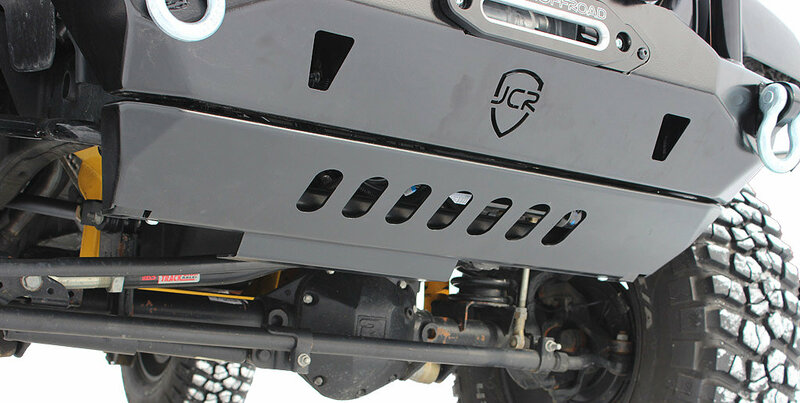 JcrOffroad is proud to offer these JK Bumper Skid Plates. 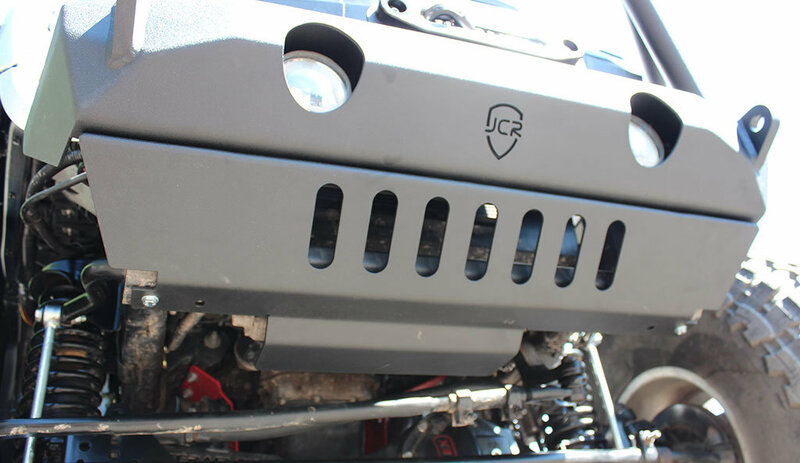 These skids are custom built in house by JcrOffroad therefore quality is unsurpassed by other manufacturers. 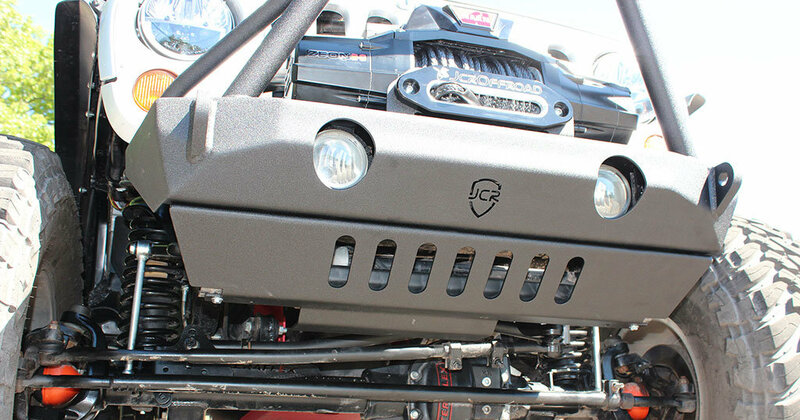 They are constructed from 3/16" thick high strength steel and built by Cnc production machines, therefore the over all fit, and attention to detail is second to none. Installation is completely bolt on! works well with defender front bumper.